Jaguar Colorado Springs has a super selection of the 2017 Jaguar F-PACE 35T available for you to choose from. This compact luxury SUV offers a spacious interior with seating for five plus cargo space for your gear. It has impressive power mixed with off-road capability and needed ground clearance. The powerful 3.0L V6 supercharged engine is paired with an 8-speed shiftable automatic transmission. Features have not been forgotten on the Jaguar F-PACE either. Enjoy the Jaguar InControl Touch Pro system with 10.2-inch touchscreen. Driver and passengers can connect up to eight devices at one time to the high-speed WiFi. Other available technologies include Jaguar Activity Key and navigation. Safety features like Lane Departure Warning, Lane Keep Assist, and driver condition monitoring will help you reach your destination safe and secure. 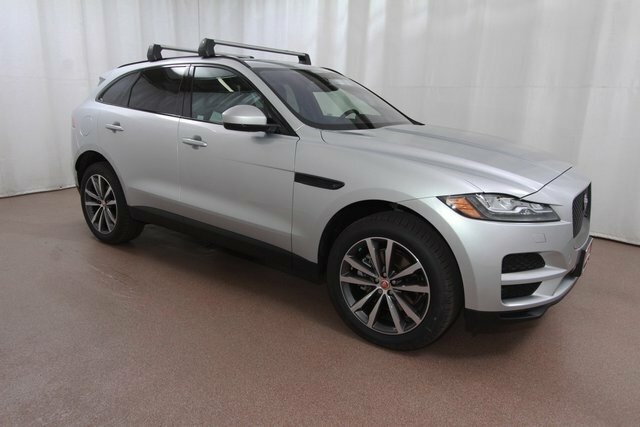 If you are looking for a SUV with sports car styling and handling, you can’t go wrong with the 2017 Jaguar F-PACE 35T. Visit Jaguar Colorado Springs for a test drive today. Let our Jaguar experts introduce you to the exciting features that will make every drive an amazing one.